Puppet Place is based on Bristol’s historic harbourside near to Spike Island Studios and Brunel’s ss Great Britain. Our building, Unit 18, is ideally located within easy walking distance of the city’s key cultural organisations. 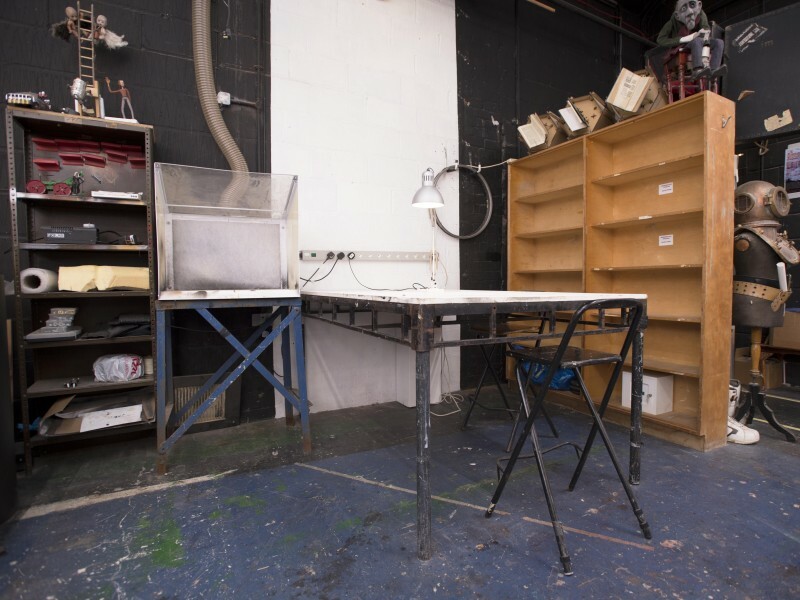 Unit 18 offers space to work to artists working in puppetry, animation, film, visual arts and performing arts. It offers a supportive and creative working environment to small companies and freelancers. The building offers a variety of work spaces suited to different needs. We offer our spaces at affordable rates for all. Resident and Associate Artists also benefit from further support and opportunities within Unit 18. To find out more about these schemes click on the links below. Rehearsal Studio - great for workshops. Rehearsal Studio, a flexible space. 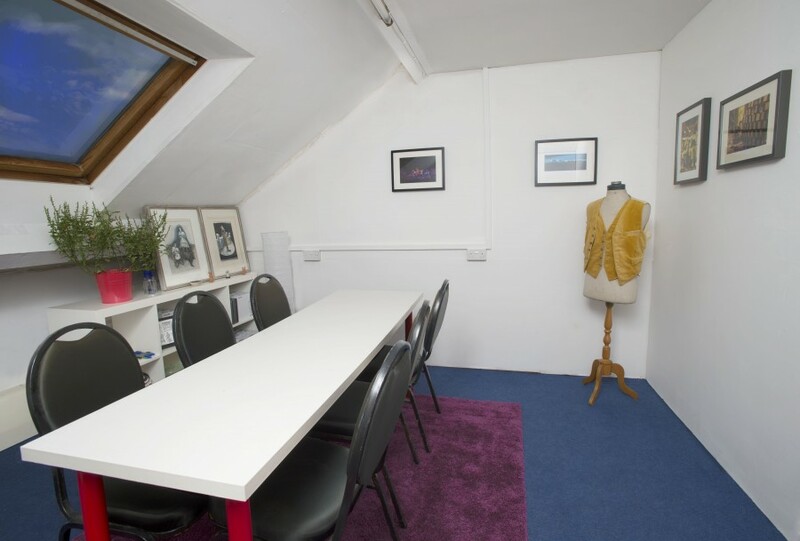 Rehearsal Studio is also a welcoming meeting space. 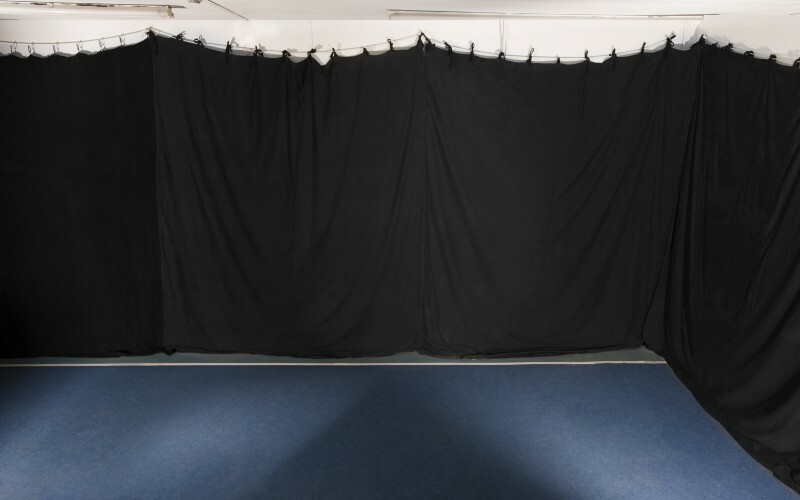 Dimensions 7m length x 4.6m width x 3.3m height. It’s a light and airy room with the capacity for a near-blackout. Dedicated toilet, tea and coffee making facilities and WIFI. There is good access for load ins and load outs. 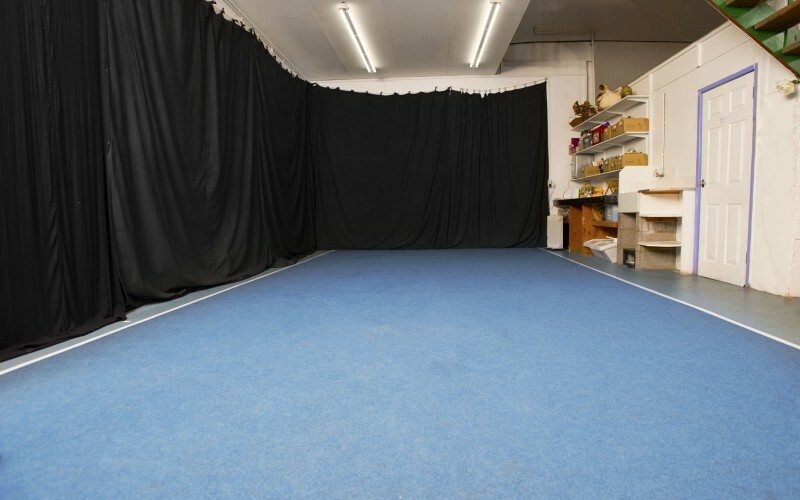 This space works well for rehearsing puppetry shows and small scale theatre. 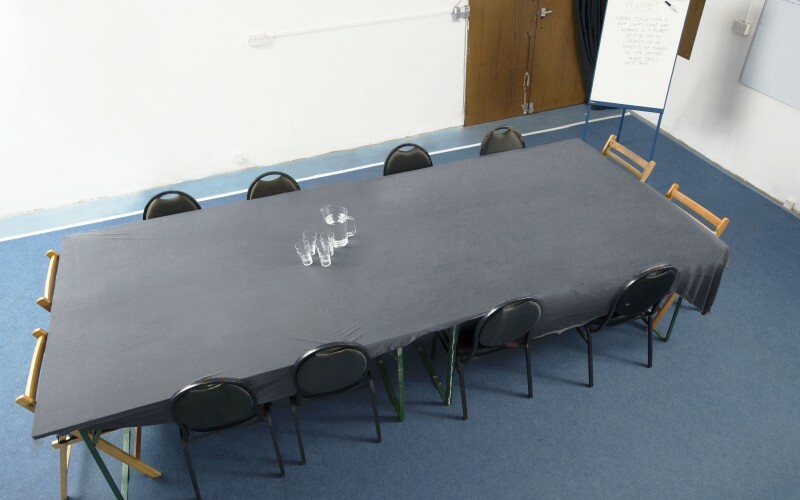 Suitable for workshops (15 people max) and meetings (25 people max). 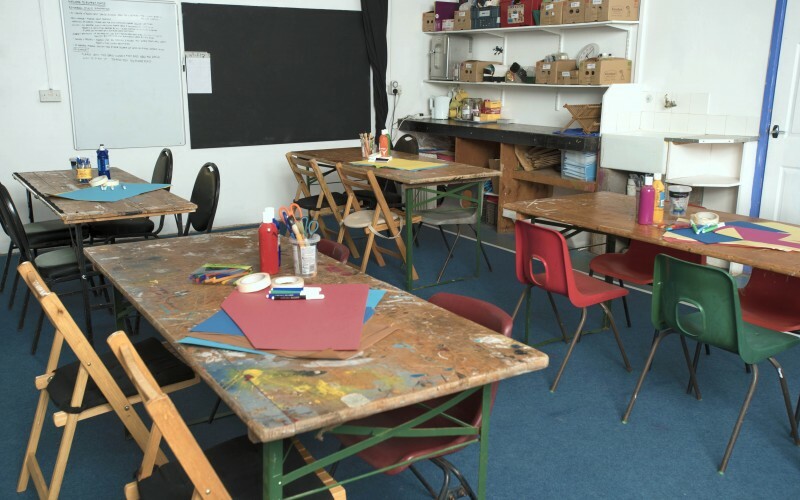 We offer a dedicated work area; ‘The Bay’ within our communal studio. Dimensions are 3m width x 5m length. The bay is available for resident and associate artists to use for short term makes and as a spill over area. 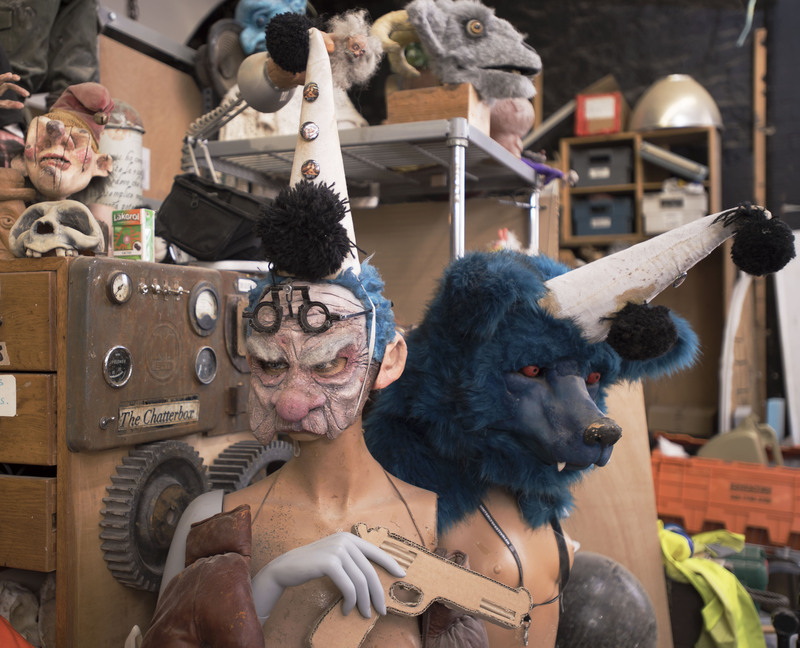 Other artists and companies working in puppetry, animation and model making are also welcome to use the bay subject to availability. 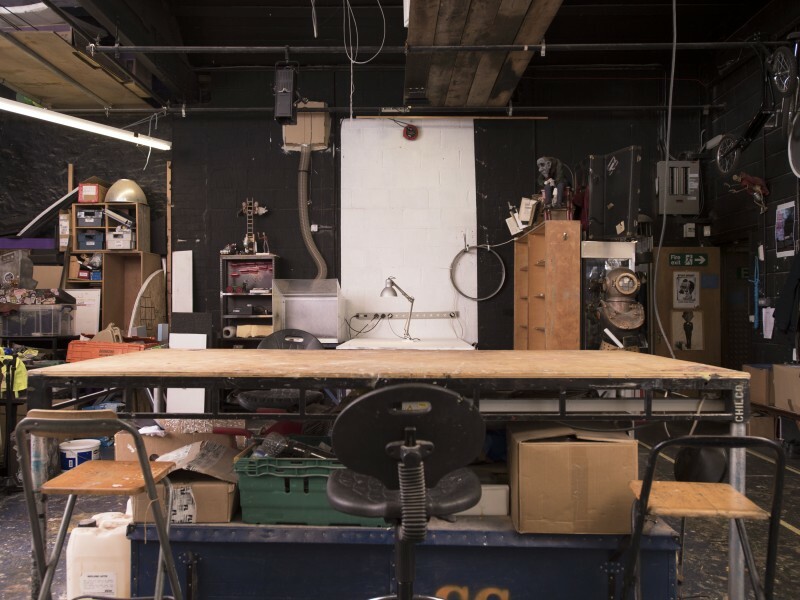 The fabrication area is a contemporary making environment which offers a safe space for artists to develop their practices and work. 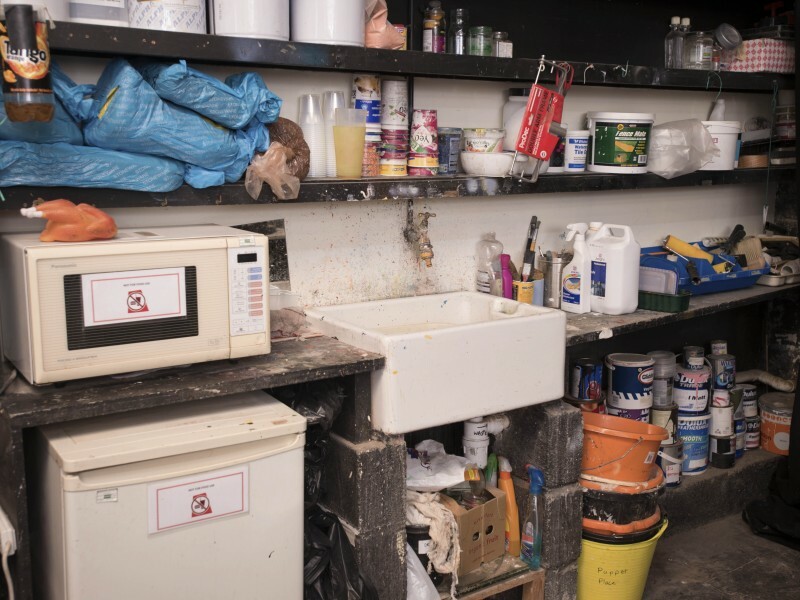 There is an initial introduction to the health and safety requirements of the area, followed by comprehensive inductions to the facilities, machinery and fabrication processes on offer. 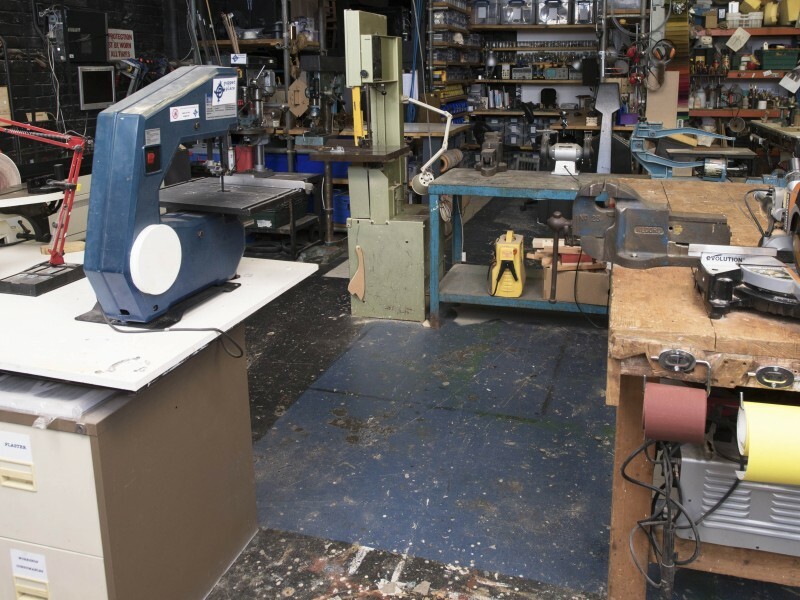 – General: Extraction, work benches, wood & metal vices, communal hand & power tool, access to WiFi and communal a kitchen area with complementary teas and coffees. 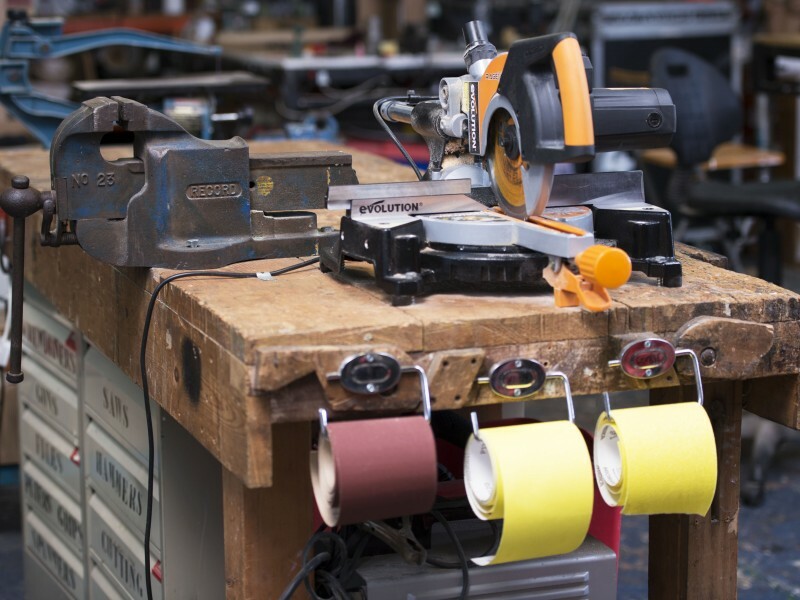 – Woodworking: Bandsaw, scroll saw, dual bevel slide mitre saw, pillar drill, disk sander and belt sander. 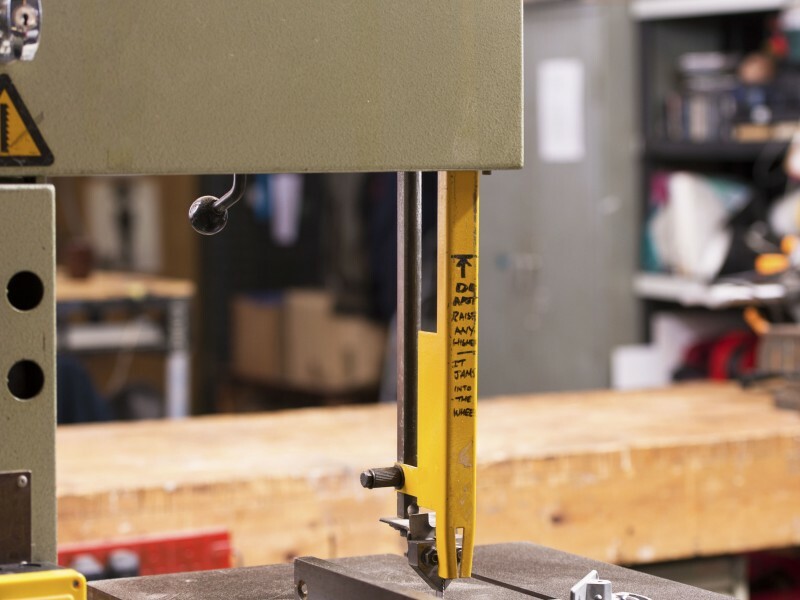 – Machining: Metal bandsaw, pedestal grinder and engineering lathe. – Plastic forming: Heat bender and vacuum former. – Spray, resin & adhesive area: Fume extraction booth. The Bay is available for use on completion of the induction to the fabrication studio. Access is within working hours of 9.30am – 5pm, with the option of 24 hour access to bookings of 5 days or more. We have a small meeting room suitable for groups of up to 6 people available for hire on a daily rate. Complimentary WIFI, tea and coffee are also provided. 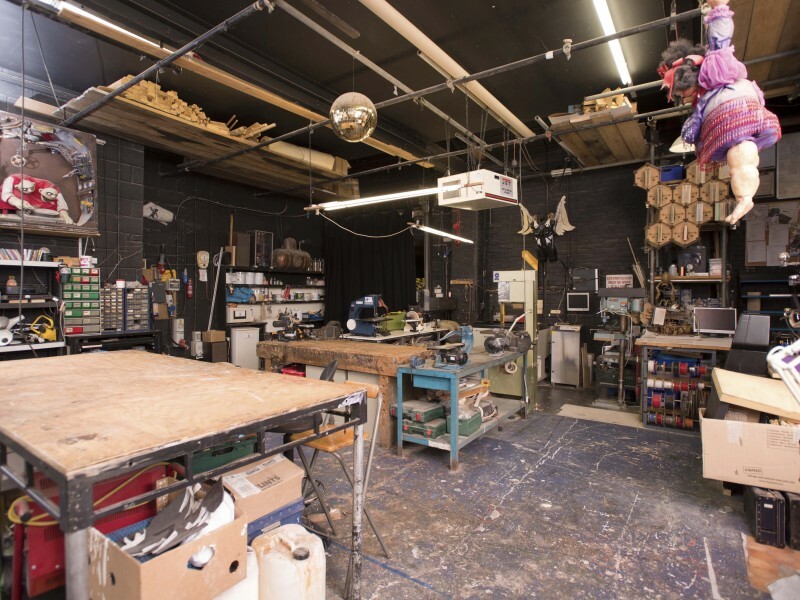 Puppet Place offers creative desk spaces for artists working in puppetry and animation, performing and visual arts and film. 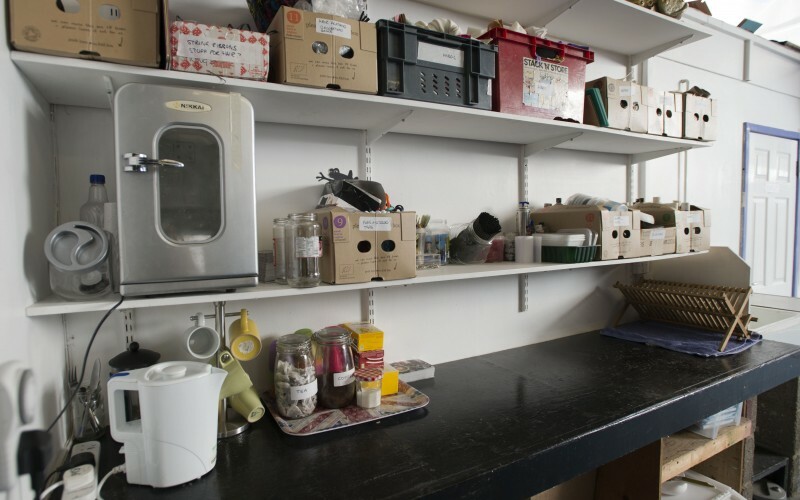 These spaces are ideally suited to freelancers and small start ups. Additional benefits includes discounted rates in the fabrication and rehearsal studios, complimentary use of the meeting room, profile on the Residents page of this website. We offer safe bike storage and there is a pay and display car park within 2 minutes walk of Unit 18. All spaces come with WIFI, complimentary tea and coffee, access to kitchen facilities and the knowledge that you are in a welcoming and supportive working environment. 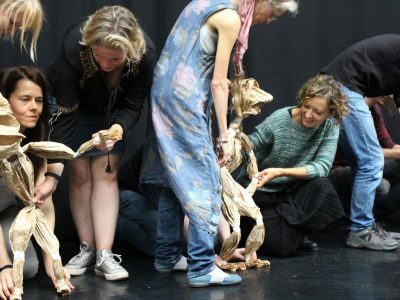 If you would like to go on the waiting list to become a Puppet Place Resident please contact contact us as below. Usual Office Hours 10am-3pm Monday to Friday.